Club Price: £15.29 - Save: £1.70 Join Today! 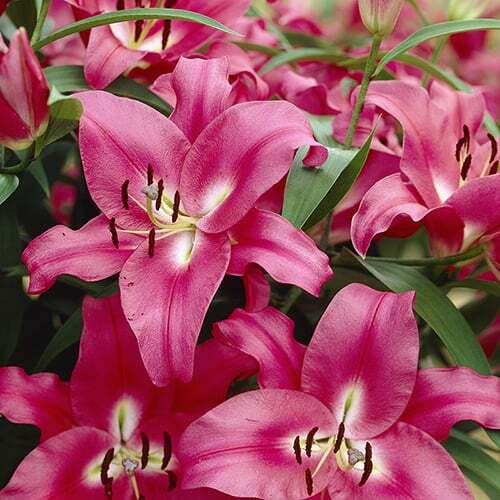 This bumper lily bundle contains all you need to create outstanding displays of the pick of the best lilies available! With a mix of well-loved orientals and incredible hybrid skyscrapers you’ll get a mix of colour, height and flower shape and size, whilst the dinner plate ‘Big Brother’ will just knock your socks off with its giant flowers! 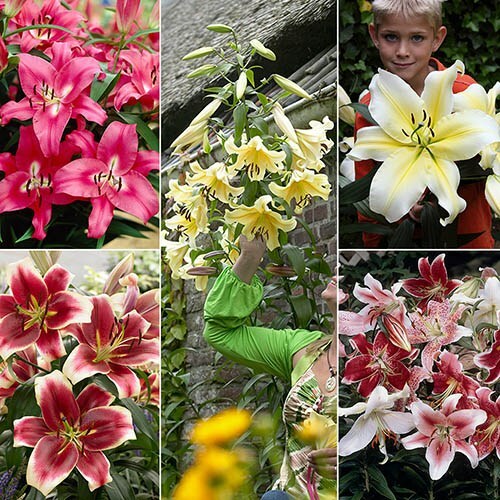 The incredible ‘Skyscraper’ Lilies grow so tall they look like trees! In their first year they will reach up to 1.5m (5ft) tall, but in future years, once they are fully established, they will get even taller – up to 6 or even 7ft tall eventually! 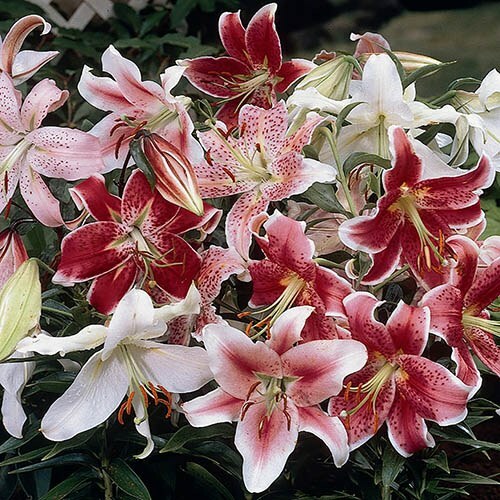 These large flowered beauties combine the very best characteristics of Oriental and Trumpet lilies to produce something truly magnificent! Every flower in this bundle carries a wonderful heady perfume some stems can carry well over 20 blooms, each of which can measure well over 15cm (6”) across – guaranteed incredible displays in pots, containers or even beds and borders. 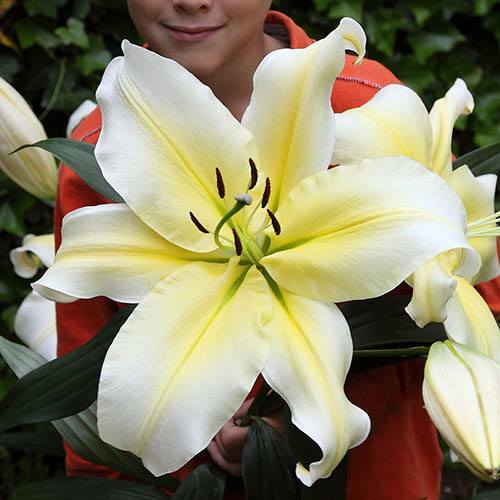 The astonishing blooms of the hybrid lily ‘Big Brother’ are simply huge, often reaching a foot or more across – hence the name “dinnerplate” lilies! 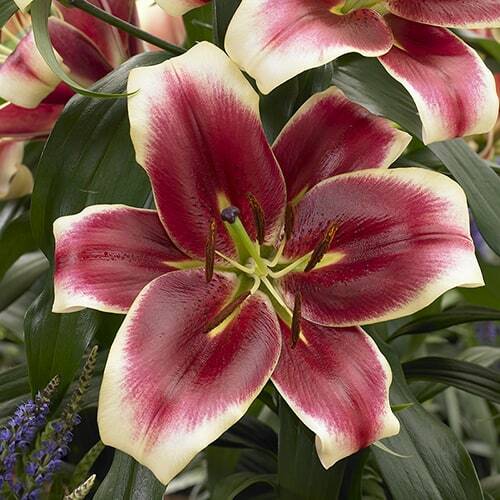 They are a cross between an oriental and a trumpet lily – combining the best features of both varieties together to create one mammoth flower! These bulbs can all be grown in large pots, planted about 15cm apart, or in groups in garden borders. They have very strong stems, so should not need supporting. Cut them for the long-lasting displays in the vase, or leave them to marvel at in your garden. Allow them to die down naturally after flowering, and they will give you even bigger and better displays the following year. Fully winter hardy, they will last for many years. Plant 10cm deep and 15cm apart.